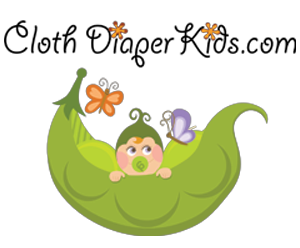 Welcome to the Buttons Cloth Diapers Giveaway! 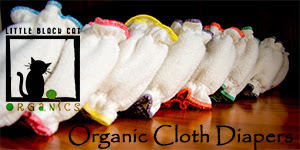 An adorable, affordable cloth diaper with an easy two-in-one system! Buttons Diapers were started by a husband and wife team at home in the hopes of offering a cloth diaper that was not only easy, but affordable for parents. They offer lots from diaper covers, cotton flannel wipes, flushable bamboo liners and daytime or night time inserts. Recently they've added a variety of prints to their line of diaper covers, offering more adorable options in cloth diapering. New prints include Acres, Charming, Hero and Thicket. I received their new Charming print as an awesome introduction into their brand new covers and received it free of charge to facilitate my review. The Charming print is a bright and cheery orange and teal chevron print that has quickly become one of my favorite prints in my stash! The diaper covers are soft and leak-proof with a double-gusset around the legs to keep the cover snug and in place as your little one explore the world around them. There is elastic in both the front and back waistline of the cover that makes for the perfect custom fit for your little one. The covers fit approximately 9-35 lbs, offering parents a great option in cloth diapering from newborn to potty training! Click HERE to read Crunchy Livin' Mama Style's full review of Buttons Diapers! Be sure to check out Buttons Diaper’s website HERE to see all their adorable colors and prints! To Buy: Buttons Diapers are also very affordable for as low as $11 for diaper covers and with 2 packs available for both Daytime & Nighttime inserts. This giveaway will begin July 10th and run through July 24th at 11:59pm. The winner will be chosen at random through Giveaway Tool. The winner E-mailed and given 48 hours to claim their prize. They will then be announced on the Giveaway Tool. The winner will receive the prize shipped to them from Button Diapers. Crunchy Livin Mama Style and any other participating blog is not responsible for prize shipment. Must be 18 years and older. Facebook, Twitter and Google are in no way affiliated with this giveaway. No Purchase Necessary. Void where prohibited by law. Open to US residents only. Disclosure: Cloth Diaper Contests & Giveaways was not compensated for the promotion of this giveaway. All opinions are our own and were not influenced in any way. Keep in mind what works for us, our children or our family may not work for you. The sponsor will be responsible for prize shipment. Crunchy Livin' Mama Style and any participating blogger is not responsible for prize fulfillment. Facebook, Twitter, Pinterest, Google and any other social media are not affiliated with this giveaway in any way. This disclosure is done in accordance with the FTC. 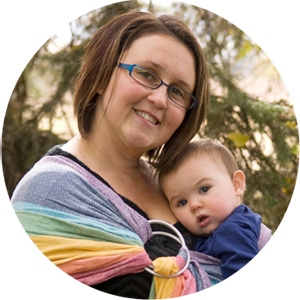 If you have any questions regarding this post, please email Sam at Samantha@Crunchylivinmamastyle.com. I love their acres print and their cherry cover. I love buttons diapers. this Iis by far my favorite brand of cloth diapers. Pebbles and Marina are my favorite colors though I love all of the shades and Heroes is adorable! Love the new prints, like Charming and Thicket. Charming and Pebble are my favirites! Charming and marina are my favorites! I like strawberry and peony. I love Charming and Sweet Pea! My favorites are marina and lavender. Pebble and Hero are absolutely adorable! Definitely my two favorites! I love the Acres and the Charming! I know my son would like the hero print. I also like charming. I love Thicket and Marina. I like the covers Acres & Charming. Thanks for the chance to win! Thicket and Cherry are my favorites!